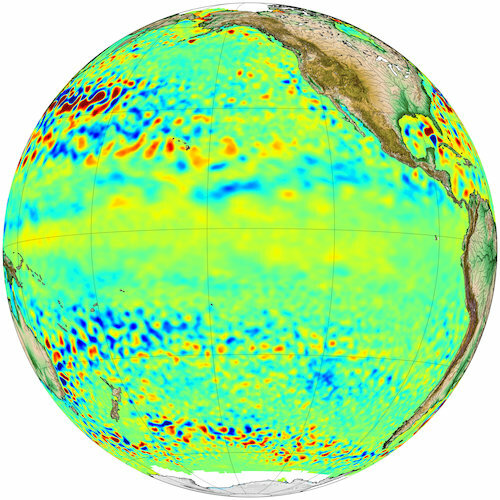 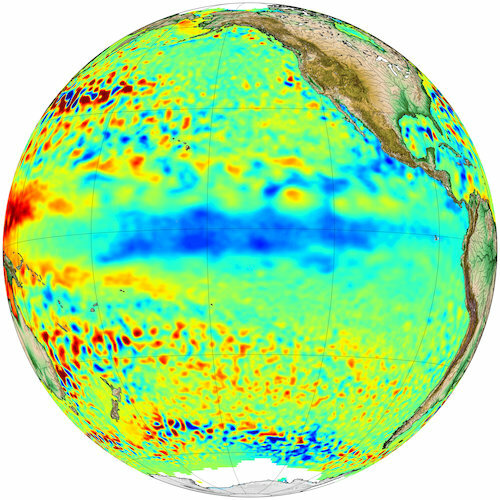 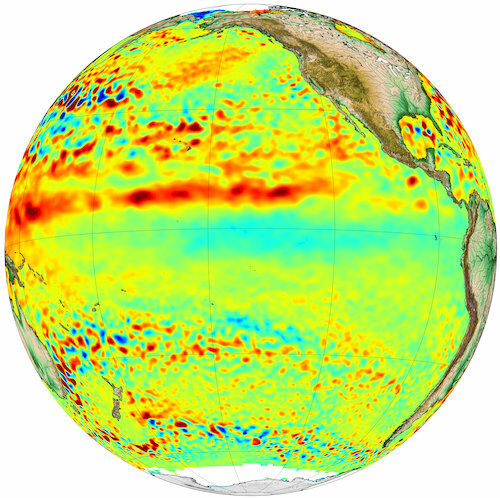 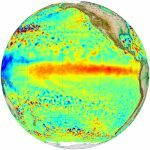 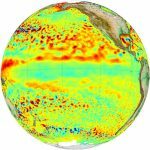 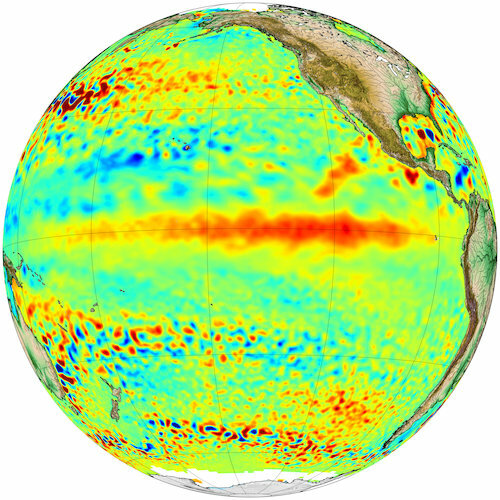 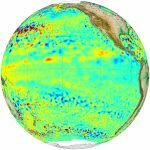 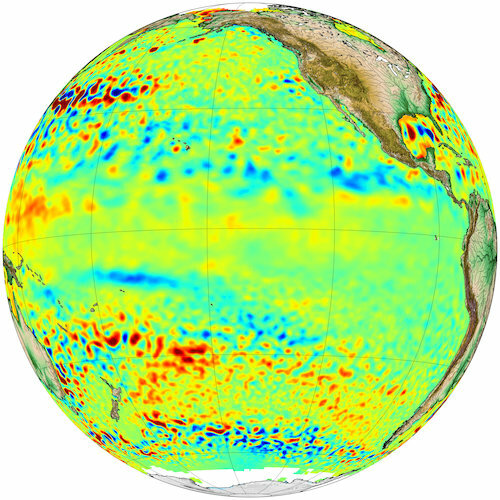 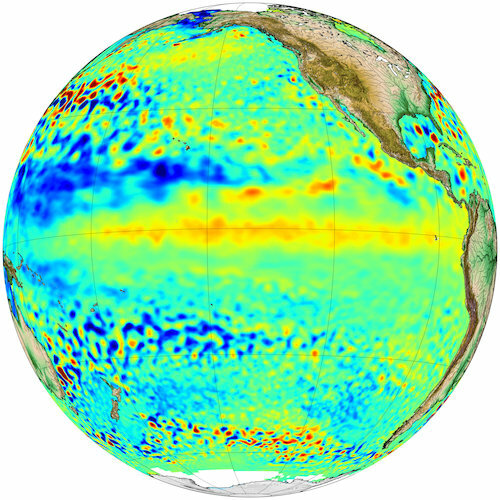 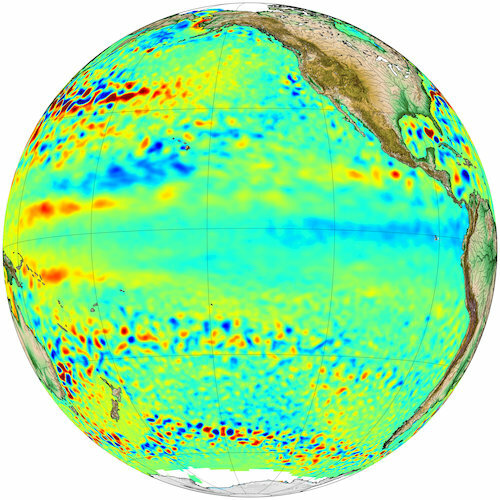 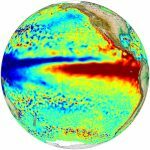 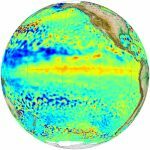 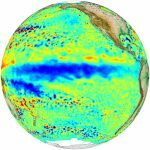 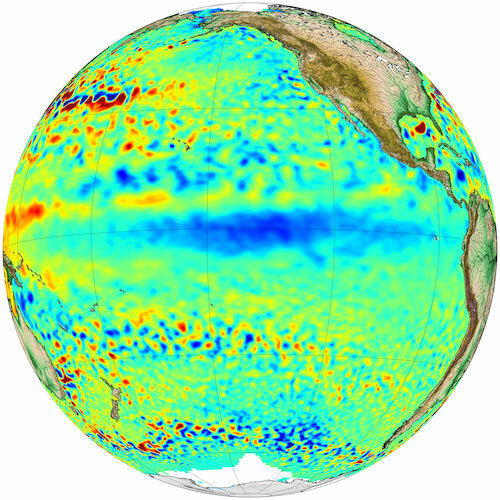 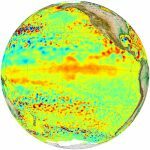 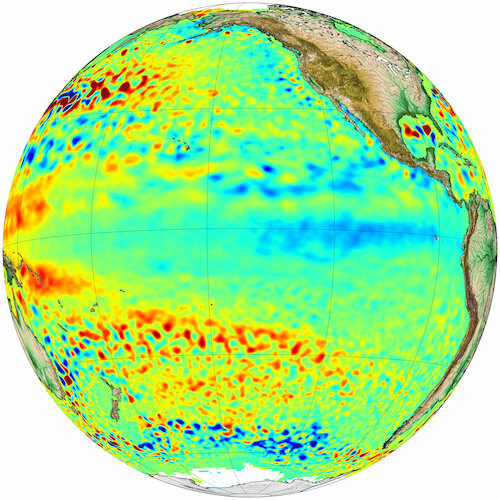 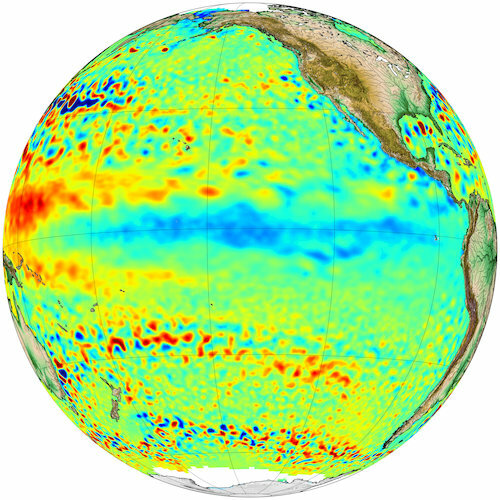 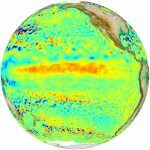 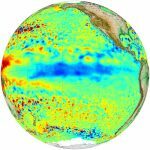 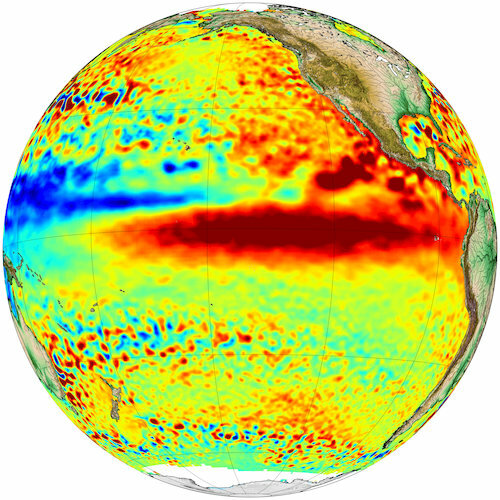 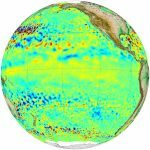 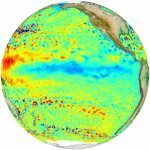 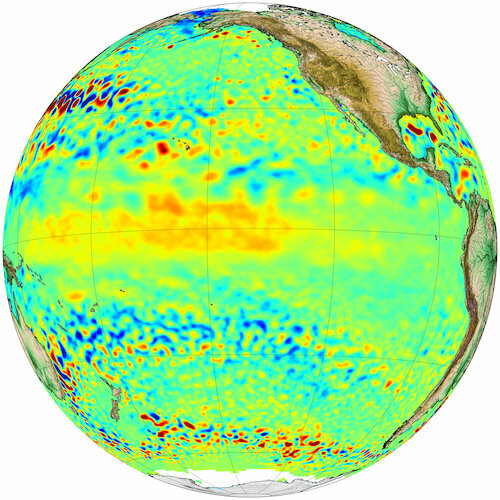 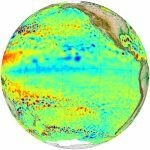 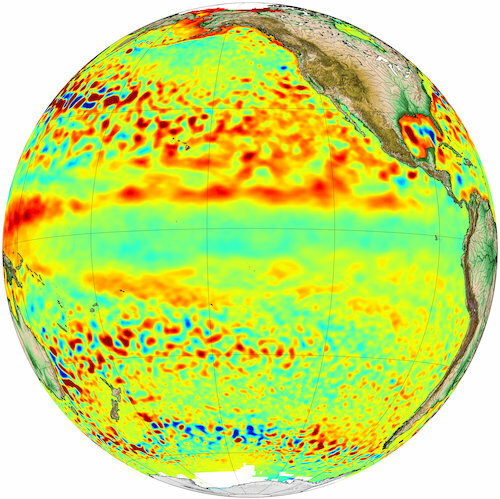 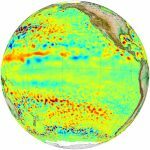 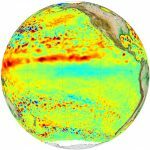 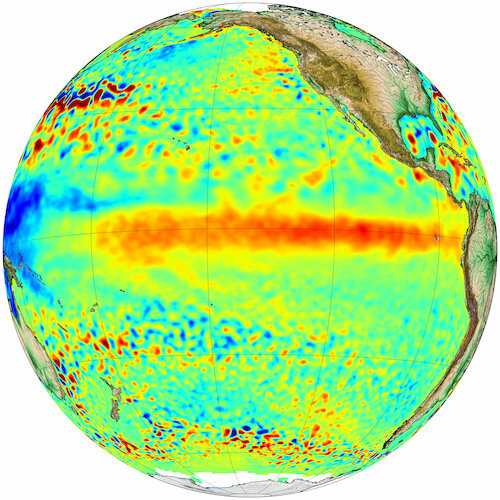 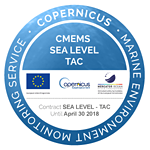 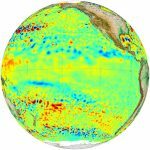 Since the first observations of Topex/Poseidon (in October 1992, after the launch on August 10, 1992), the Pacific Ocean has been continuously monitored by intercalibrated altimetry satellites. 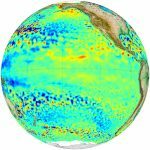 Duacs delayed-time data provide a continuous homogeneous dataset for the whole period. 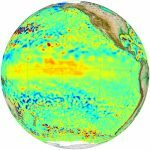 The series of Sea level anomalies over the Pacific, all plotted for November shows the differences between one year and the next or the previous, with sometimes El Niño (1994, 1997, 2002, 2004, 2006, 2009, 2012, 2014, 2015, with very strong ones in 1997 and 2015), sometimes its contrary, La Niña (1995, 1998, 1999, 2000, 2005, 2007, 2008, 2010, 2011, 2017, with strong ones in 1998, 1999, 2007, 2010). 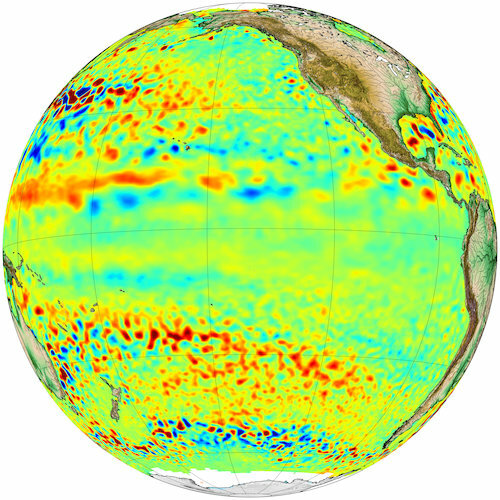 The whole series, seen at one glance also shows an increasing trend (images are getting yellower, thus the sea level anomalies are higher), in relation with the global mean sea level rise. 2017 seems to turn for a weak La Niña, which should not have major impacts for people living around the Pacific (and broader).